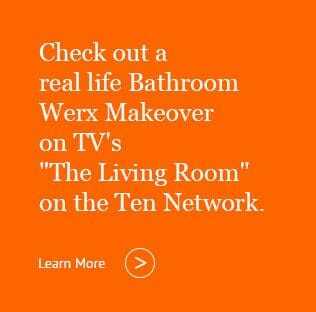 Bathroom Werx is currently making history all over this country, turning old bath's into "new" with a no-mess, on-the-spot process that leaves your bath ready to use and enjoy again in just 24 hours. What home owners appreciate is that it doesn't cost you the earth like a traditional 'rip out and replace' renovation. The biggest saving is that you don't have to replace your old bath. 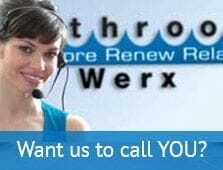 In a matter of only 6 hours, Bathroom Werx specially trained technicians bring it back to the "original condition" and cover all their work as well as materials with a 7 Year written guarantee. Bathroom Werx's unique re-enamelling system first removes dirt, rust, chips and water marks from your old bath. Then it is re-enamelled in the decorator colour of your choice and heat sealed to keep its long-lasting good looks for a lifetime.